Come and practice moves from your class during Open Practice. You might want to bring a partner to dance with, but otherwise the dancefloor is open, and the music is playing, so come and dance! 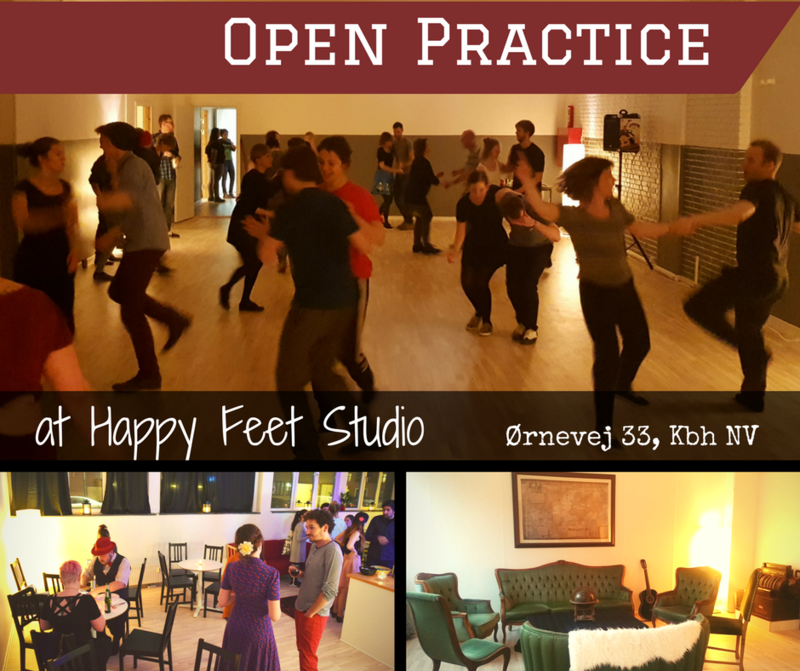 You can join Open Practice even if you don't take classes at Happy Feet Studio. • No signup needed, just show up and dance! Check also Swing Dance in Copenhagen - a Facebook group created for all swing dancers in Copenhagen, with over 3 000 members. All social dance events and other dance related things happening in Copenhagen are posted there.